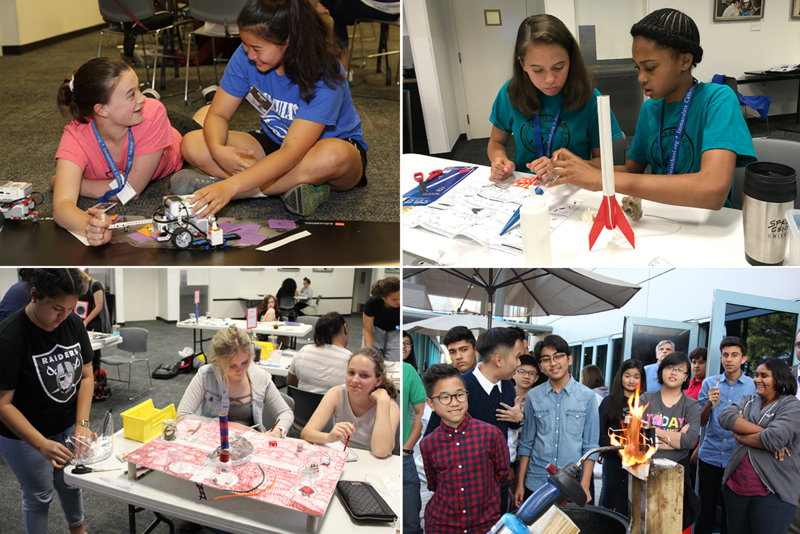 Interactive, project-based learning that includes sustainable habitat construction, robotic build and coding, strategic scientific planning and investigations, a one-stage rocket launch, collaborative teaming and global awareness development. 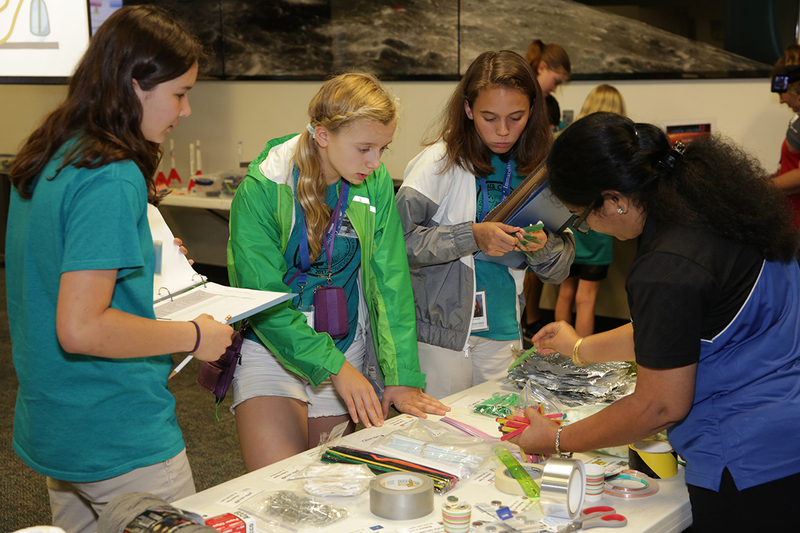 Participants will engineer, build and launch a one-stage rocket. 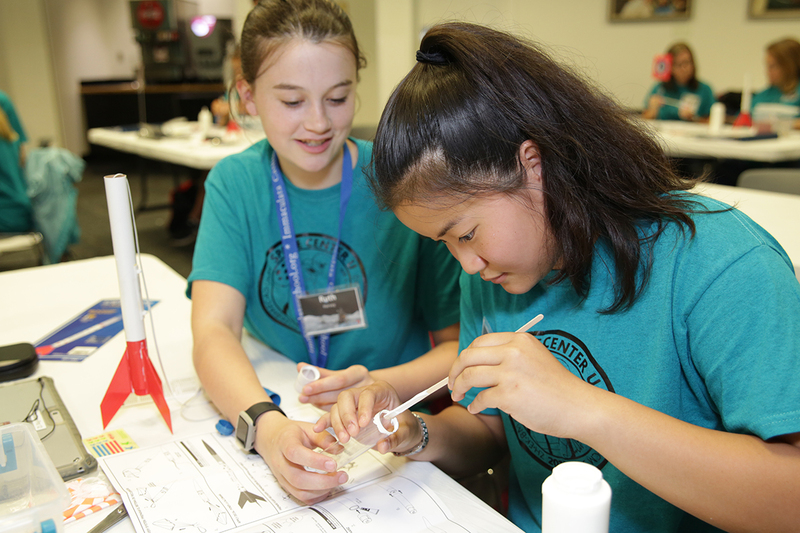 Students will perform stability tests to ensure their rockets are flight-ready and work through calculations to determine apogee, or maximum altitude. Launch site and date may vary based on weather conditions. Space exploration involves physics, chemistry, biology and many more fields of science. 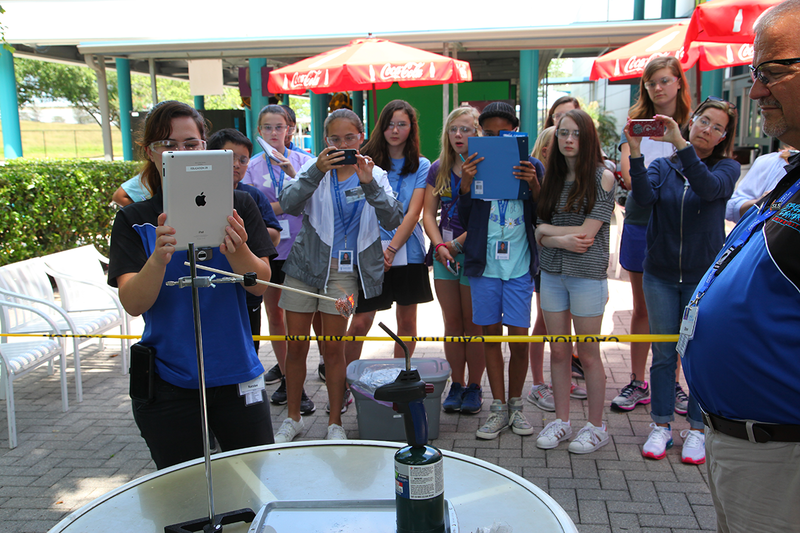 The science modules allow students to accomplish smaller tasks related to revealing the unknowns of space. 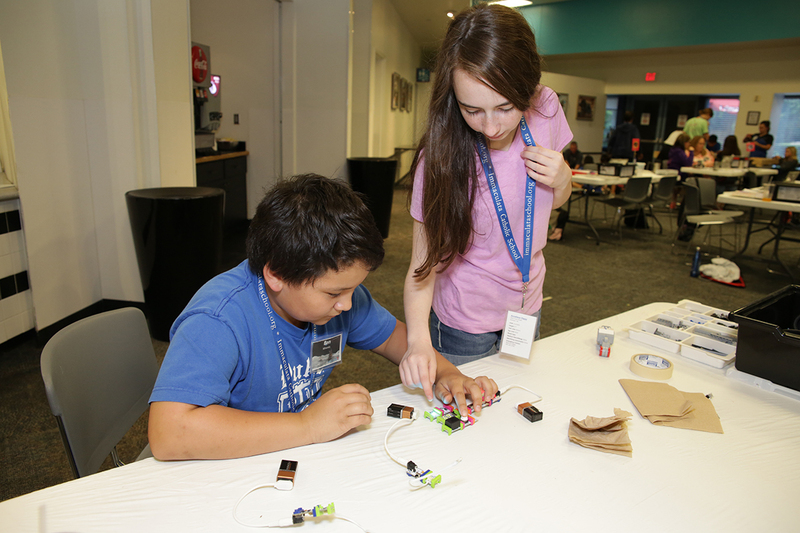 Participants will work with in teams to solve these mysteries and receive bonuses to use in engineering challenges. A critical aspect of being an astronaut is being able to work with teammates to ensure the mission is a success. Each day students will be engaged in team building activities to learn how to listen, communicate, collaborate and solve problems together. What is it like living in space? 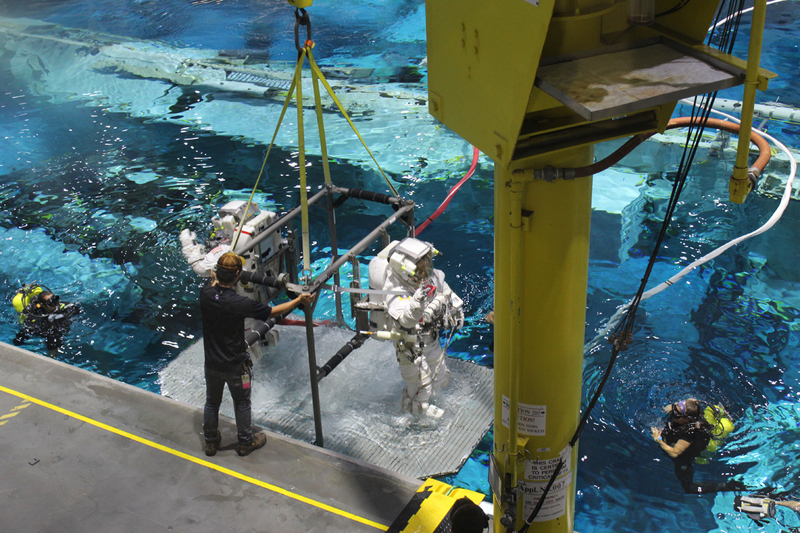 How do astronauts get enough clean water and air? How do astronauts communicate and work with peoples from different cultures? 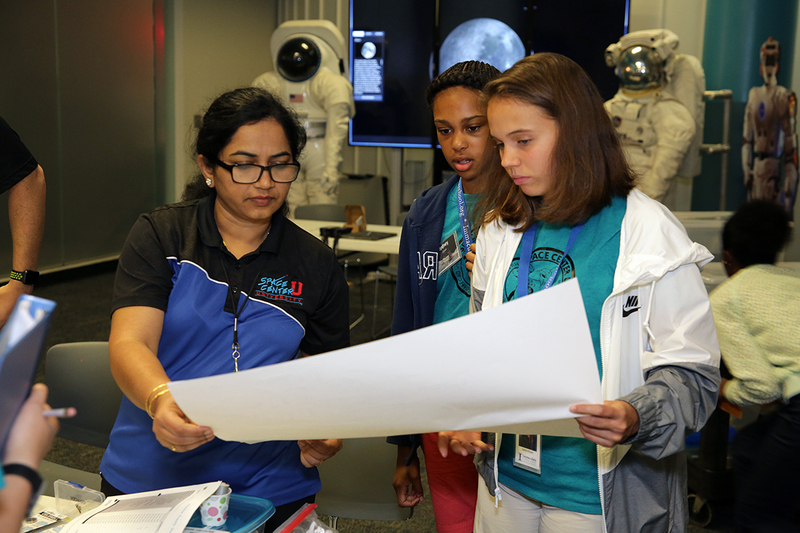 Students will participate in SIM (simulated) scenarios and build their own Lunar habitat that sustains core areas of life while maintaining cultural and global awareness. 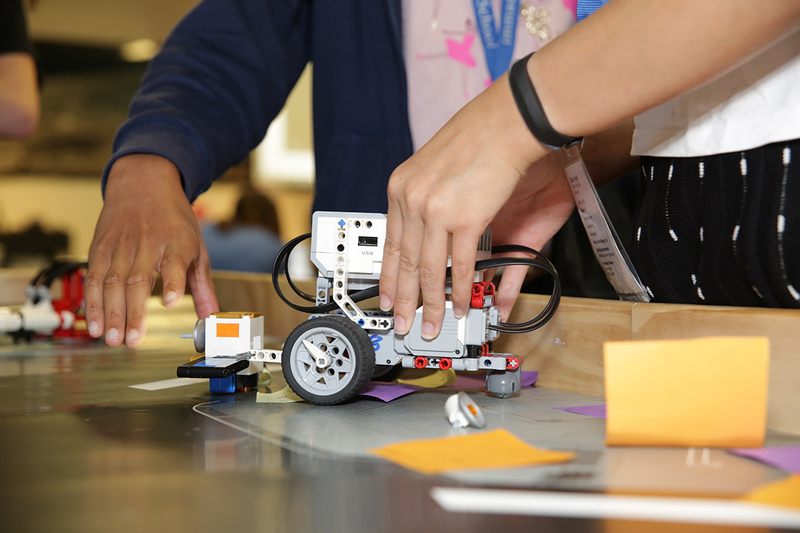 Participants will explore and accomplish tasks in space using a robotic rover based on a given set of parameters. Students will learn the math calculations needed to traverse the space field and to use sensors to improve accuracy. They also will translate the mathematic calculations into the coding instructions for their robot to ensure mission success! Getting back to Earth is no easy task. Heat shields must withstand temperatures of over 1000 degrees Fahrenheit (537 degrees Celsius) during re-entry into Earth’s atmosphere. 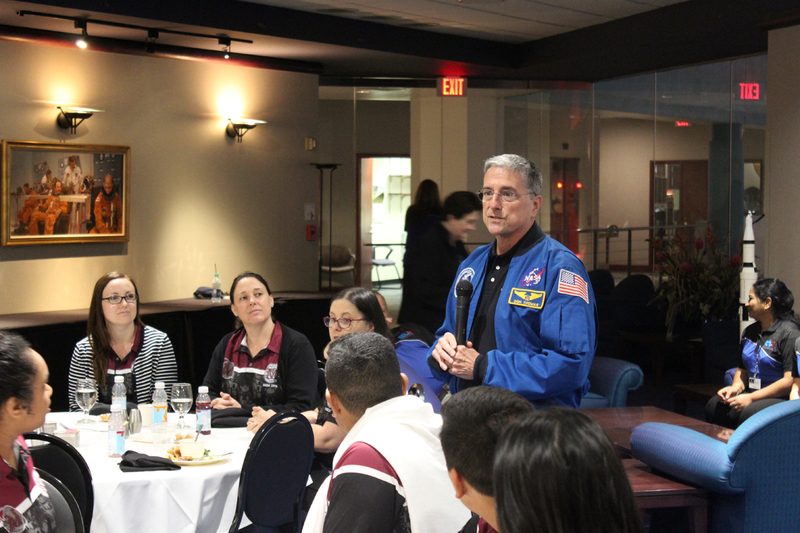 Students will design, build, test, re-design and re-test heat shields to ensure astronaut safety during re-entry. 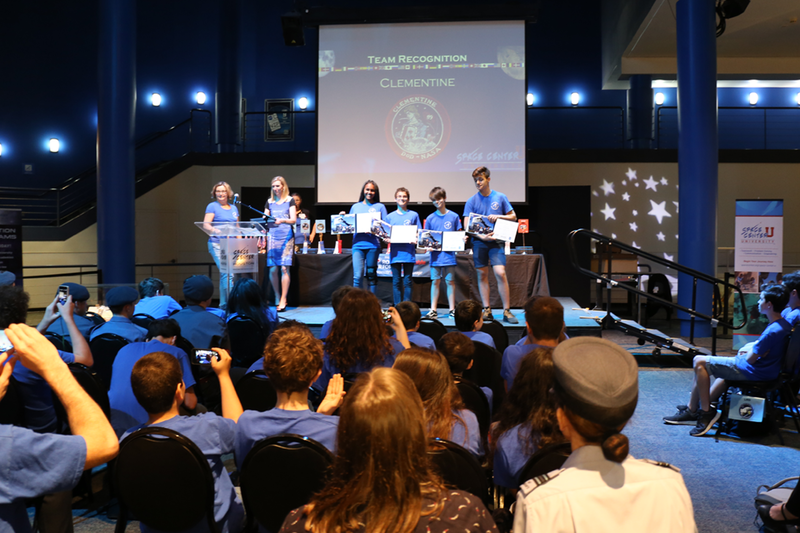 Students will tour NASA Johnson Space Center with stops at historic Apollo era Mission Control, Neutral Buoyancy Laboratory and the Space Vehicle Mockup Facility including its full-size training modules of the International Space Station. 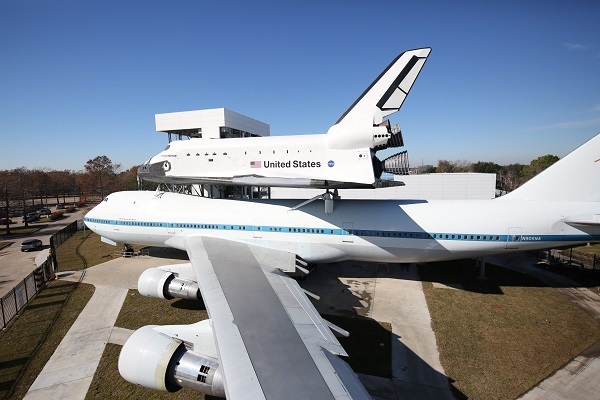 They will see rockets up-close that were used in early space exploration and experience the space shuttle replica Independence atop the historic Boeing 747 shuttle carrier aircraft. Participants must be between the ages of 11-14. 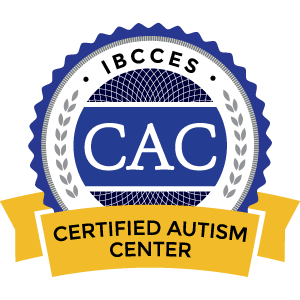 If the participant is 10 and turning 11, they may attend with the understanding that the material is designed for middle school, age-appropriate learning. A minimum of 1:10 chaperons to student ratio is required for groups. A chaperon is not required for individual registrants. 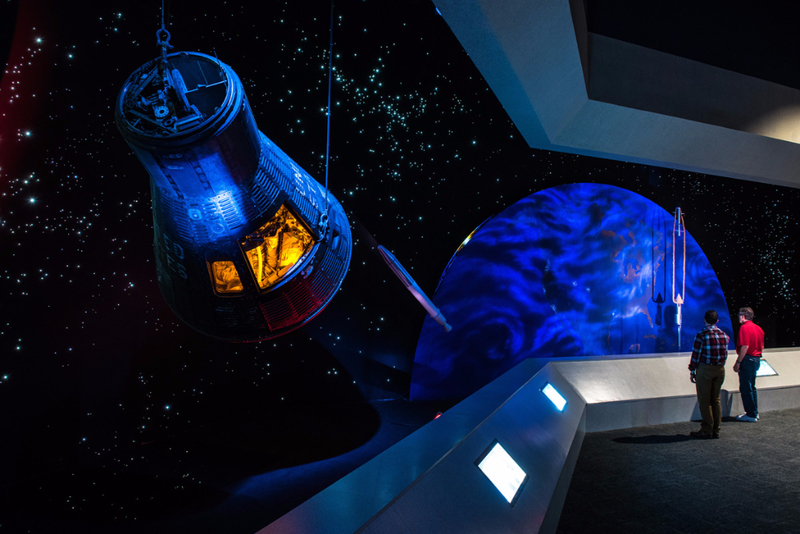 Space Center U requires a $300 non-refundable administration fee to make and secure your group reservation and date. The date cannot be booked without payment with full and final payment required four weeks prior to your event date. Each group is responsible for their students’ behavior while staying in the hotel. 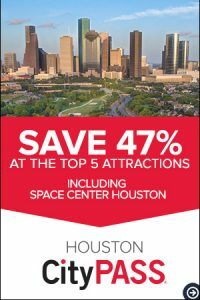 Space Center Houston is not responsible for unruly behavior and/or damage caused by participants in the Space Center U™ Program. If inclement weather is forecasted and Space Center Houston is asked to close, we will notify all participants. If a participant cannot get to Space Center U™ due to the weather, please call and notify Reservations or your Education contact. Rocket launches will placed on hold or be cancelled if inclement weather occurs.